Don't be a gym rat. Make it count. 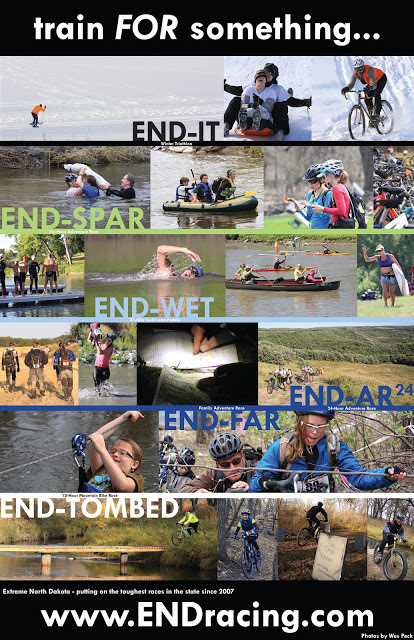 Early registration for END-TOMBED, our final event of 2012 ends in 10 days. Get on it! Dakota Harvest Bakery, or DHB as we affectionately call them, deserves a special shout out from ENDracing. These guys are a small local bakery and coffee shop (Local=Best as far as we're concerned) that has really become a part of the Grand Forks community in general, and more specifically the ENDracing community. Paul Holje and his staff have been huge supporters of our grass-roots efforts since the beginning, and continue to provide thousands of dollars of donations of amazing food at each event. There is no way we could put together races that rival all the big budget ones out there without their help. The importance of their involvement - and the involvement of other generous like minded local and national businesses - to what we're trying to do simply cannot be overstated. And we're happy to announce that DHB will once again be providing the 'mid race' meal for END-TOMBED. Thanks guys - we can't say it enough! I'm heading up to Canada in a few weeks to be on the other side of the racing coin (racing instead of directing) and i can't wait. I'll be doing the Swamp Donkey Adventure Race - an event i did last year for the first time. It's a great event - short enough to be fun but long enough to be hard.... a great race to do with my wife and overworked buddy Joel. Last year we ended up in 4th place in our category (despite some 90+ total teams) and that gave us the idea that we might be able to end up on the podium with a little more work this year. But since i've decided to stick to my low volume training approach, i have to figure out ways to get faster without physical work. Hmmm. One thing we didn't have last year was a map board for the bike, so maybe i can work to build one. My background (a story for another post) is such that i love being thrifty, so i thought i'd see how cheaply i could build a serviceable one. Of course it will remain until after the race to determine whether it actually was serviceable - but i thought i'd share the finished product so the ooohhs and aaahhhhs of budget minded appreciation could start early (FYI, these things can cost upwards of 65 bucks!). 3) cut ribbons out of the bike tube and tie two lengths around the top and bottom of the board. Voila - map board for the cost of 3 zip ties. My initial tests indicate that it should work just fine... as long as i don't crash! Is your jersey up for it? 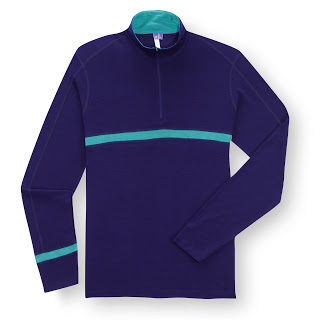 If not, pick up one of these Ibex Indie half-zip gems - long sleeved, merino wool, ENDracing branded - and ride all your laps in comfort. Shirts are $60. Pre-order by shooting me an email with your size. Mens color is 'black light', Women's is Parsley. Orders must be made by Sept. 30th. Payment can be made upon pickup at the race.